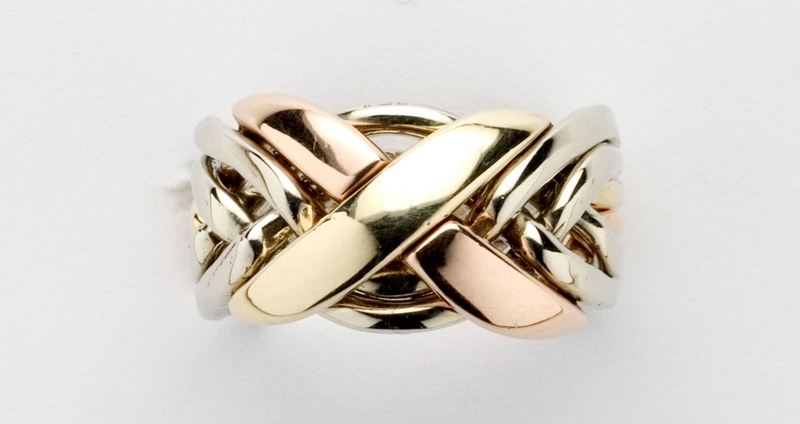 6NX Ladies' Puzzle Ring - Gold, Silver or Platinum - Ships Free! 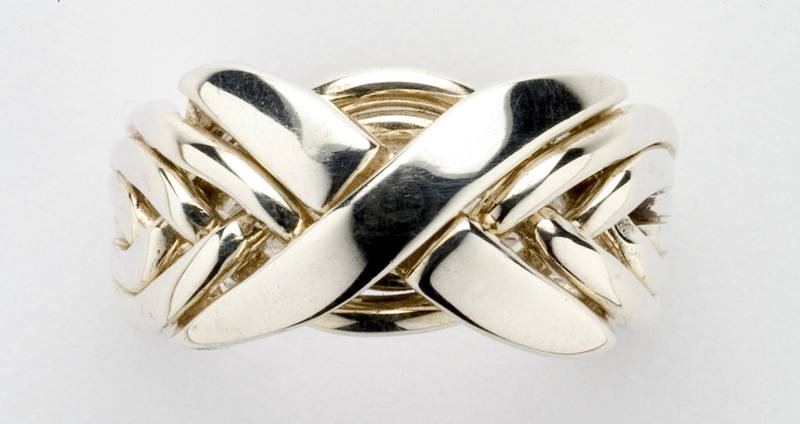 This ring, which is our design # PRE-6NX-L, is a 6-band puzzle ring and is available in Sterling Silver, Gold, or Platinum. 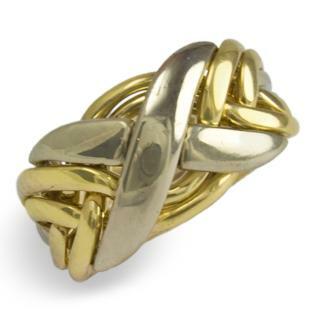 All Puzzle Ring Emporium rings, including this 6NX Ladies' Puzzle Ring, are made in the USA by master craftsmen and craftswomen, and never imported. All of our rings are solid metal, no cheap plating or filling. Click here to learn more about how our rings are made.